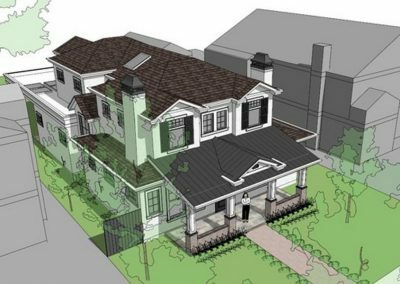 In Palo Alto’s most desirable neighborhoods, relatively small lots with narrow/deep aspect ratios combined with strict design and zoning regulations can make it very difficult to successfully design homes in a purist style. 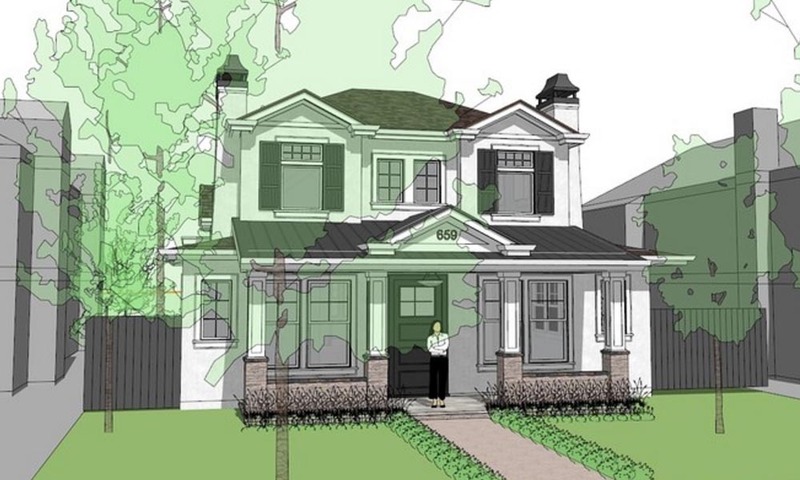 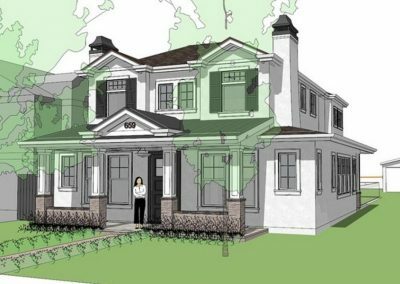 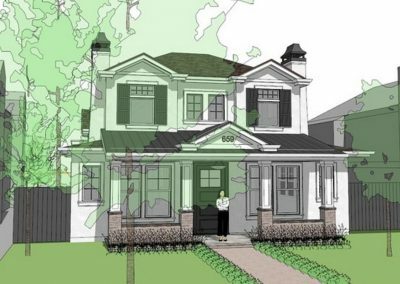 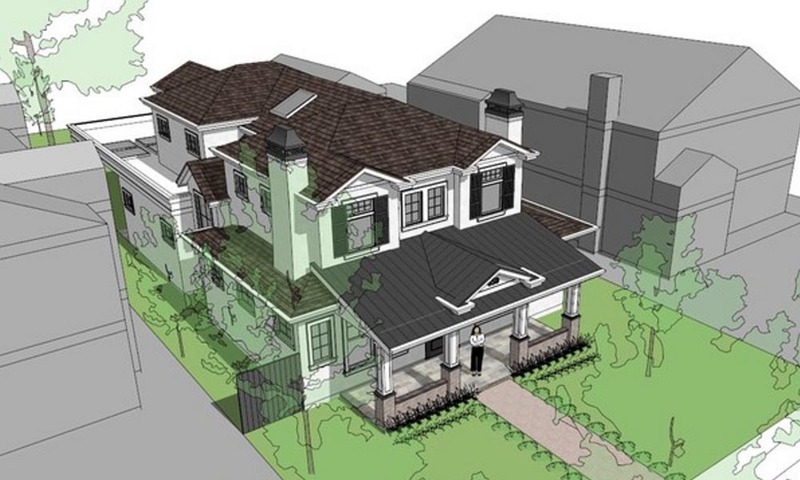 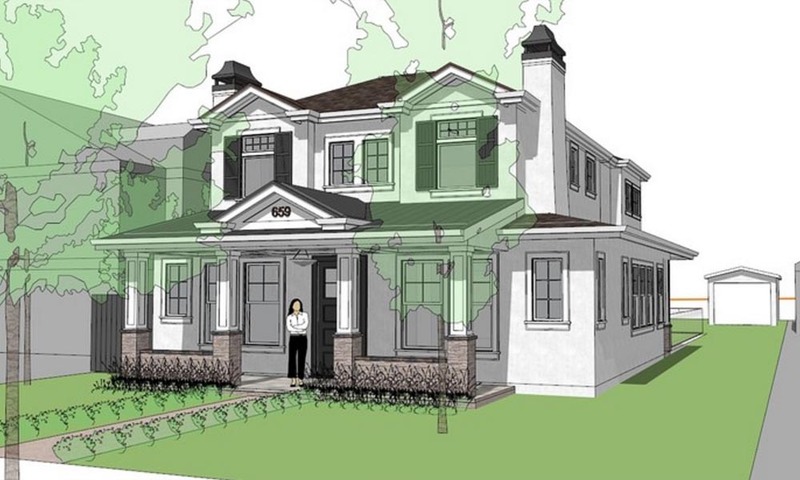 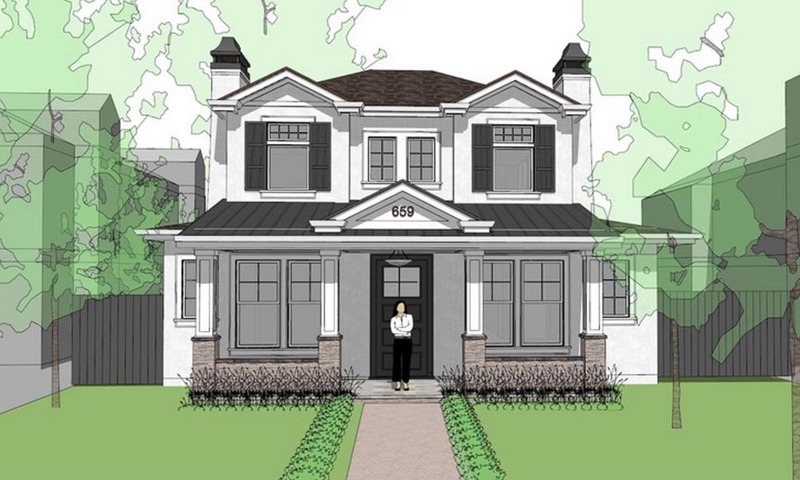 On this particular project for a repeat developer client, an immediate context of large two story homes on either side gave us the flexibility to widen the second floor front elevation and provide a stately and pleasing symmetrical face to the street. 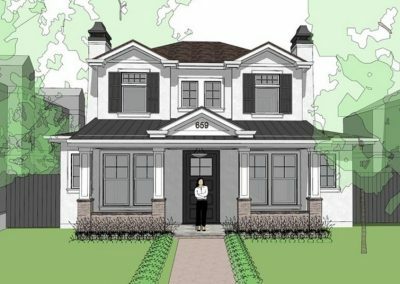 Traditional details, materials, and composition are intended to give comfort and a sense of timelessness to prospective buyers, while an open floor plan and generously daylit basement with 11′ ceilings check off the functional boxes that today’s Palo Alto buyers all expect to see in new homes.